. إن الخدمات التي يقدمها Oceanside Motel تضمن للنزلاء إقامة مريحة. إن واي فاي مجاني في جميع الغرف, خدمة التنظيف يوميًا, خدمة سيارات الأجرة, مطبخ, مرافق مخصصة لذوي الاحتياجات الخاصة هي جزء فقط من الخدمات التي تميز Oceanside Motel عن باقي الفنادق في المدينة. لقد جهزت هذه الإقامة الفندقية بعناية فائقة لتوفر مستوى عالي من الراحة. في بعض الغرف يجد النزيل تلفزيون بشاشة مسطحة, اتصال لاسلكي بالإنترنت, حوض الاسترخاء, غرف لغير المدخنين, تدفئة. صممت خدمات الاستجمام في الفندق والتي تتضمن كنو, مسارات المشي, حمام ينبوع ساخن, مسار جولف - ضمن 3 كم, صيد السمك لمساعدتك على الاسترخاء والراحة. إن Oceanside Motel هو خيارك لخدمة الفنادق الراقية في وايتيانجا. Great location with sea views. Convenient for town restaurants and shops. Seacave boat run by Trevor trips are awesome. Jill arranged great trip to Lost Spa. Had paper seal on the toilet to say it had been cleaned.... there was wee on the seat and stains on the rim. Great place to stay. Stone’s throw away from the beach and town centre. Can hear the traffic noise from the main road but bearable. Well equipped kitchenette. Very clean and comfortable. Highly recommended. 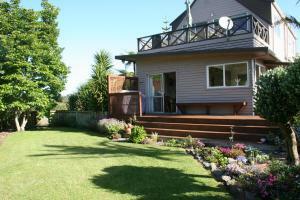 Clean, friendly and close to all Whitianga has to offer. Quick and easy check in , we were a little early, but it was no problem. About 1 km walk into town. Very clean , comfy bed. 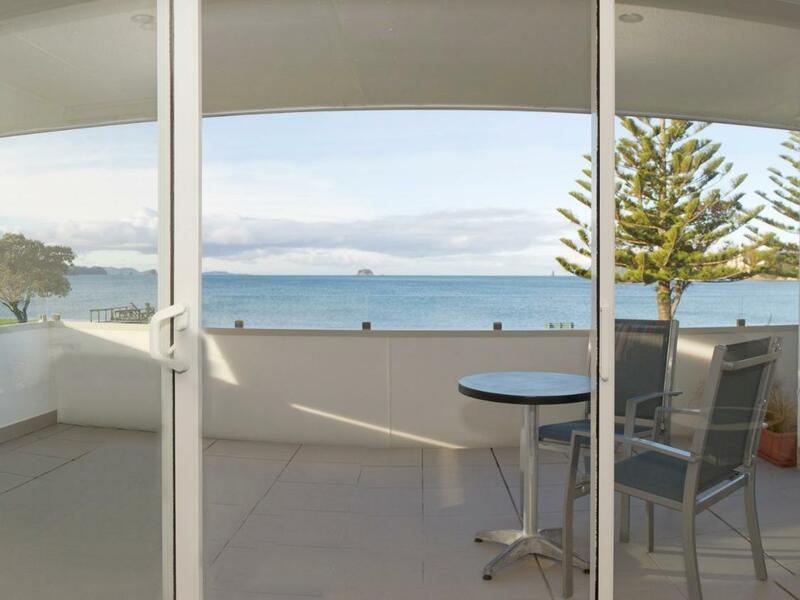 The view from this motel is exceptional., literally on the beach front (road between ). Love to stay there a bit longer next time. Rough, stiff sheets; soft bed; horrible layout for toilet;water pressure for shower was minimal. Motel had great facing but toilet was oddly situated. Also, felt owners were pushing their Adventure Cove tour (NZ$75) a bit too hard. Their electronic bike rental was NZ$45 for 4 hours. We only needed 2 hours as it was later afternoon and they were pretty reluctant to do so. In the end we paid $30 for 2 hours but only used 1 hour as my friend fell from the bike (unforeseen & unfortunate). Felt they could have refunded 1 hour of the unused time as a token gesture, but they didn't. Must say they were good in giving my friend some Aspirin. Large baicony over looking Buffalo Bay,with 2 chairs and a 24 inch table. Sketchy internet. Great local connections for restaurants and activities. I was incredibly impressed with the room - the bed was one of the most comfortable I've slept in! Further, it was handy to have a kitchenette with a microwave, stove, a range of cooking utensils. Close location to town and the staff were helpful in providing detailed info about the town and activities. Would most definitely stay here again! Spacious enough for a couple, did have some extra beds though so could accomodate 3 kids. 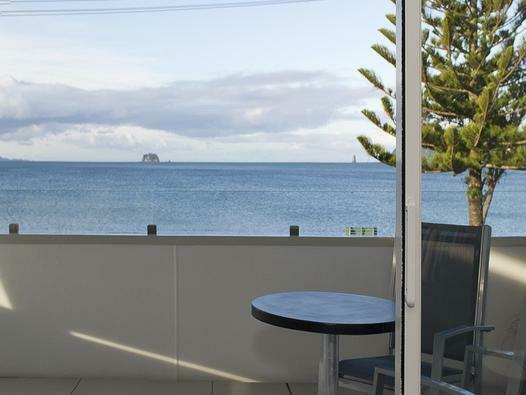 We loved our stay at Whitianga, wished we could have extended it. Staff were very welcoming and helpful. Seashore is just in the front with one road across; Nice and clean; We have missed the checkin office hours. But lucky that the owner lives at the motel too so that we could get in. Nice stay. Owner is so kind to lend us his spades for our Hot Water Beach visit. We stayed in early June 2014 for 3 nights. The Motel is family run. 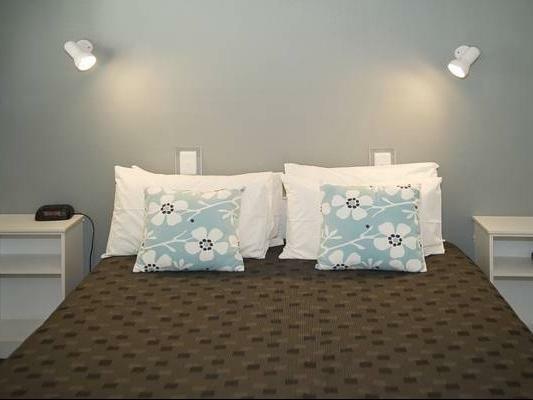 It is small (6-8 rooms) but the advantage is that the staff and host will attend to all your needs. We booked the executive studio room which is on the first floor above the standard room. The executive studio is well worth the extra. It has unobstructed beach view, good size balcony, spacious room, self-contained kitchen with stove and microwave, a sofa bed, a queen size bed and a spa ! The Host, Alan and Jo are very friendly. They are happy to lend you anything that you have asked for. e.g. shovel and towel for the Hot Water Beach. There are also plenty of parking inside the motel. 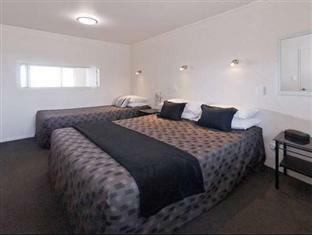 Note - The motel is great for couple but children are not allowed on the executive studio. Stylish room, great view and good location. 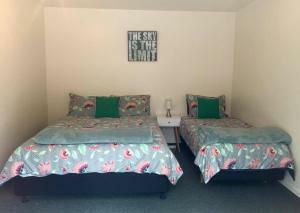 Very comfortable and spacious with free wifi and the perfect view of the beach. There's nothing you could ask for more.